I made the cupcakes as above (I got 20 out of the recipe), but for the frosting instead of the vanilla extract I used 1 tsp. of coconut extract and 1 tsp. of rum extract, then sprinkled the tops with coconut before adding the cherry. 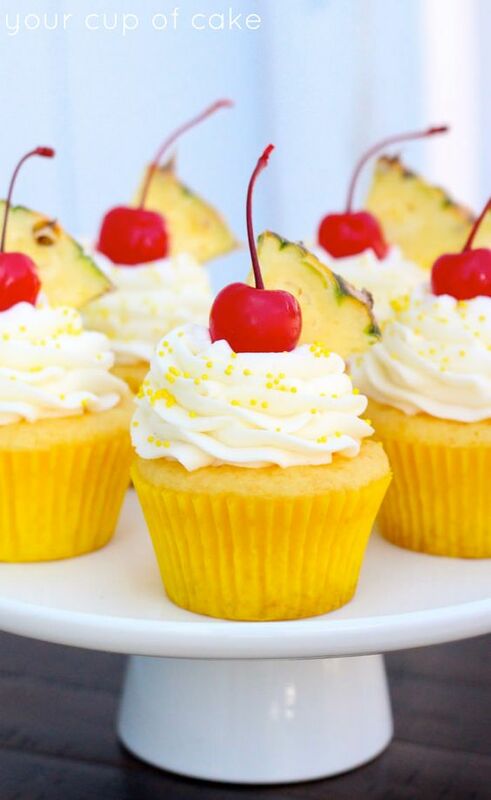 Top them off with a paper umbrella and you’ve got pina colada cupcakes!